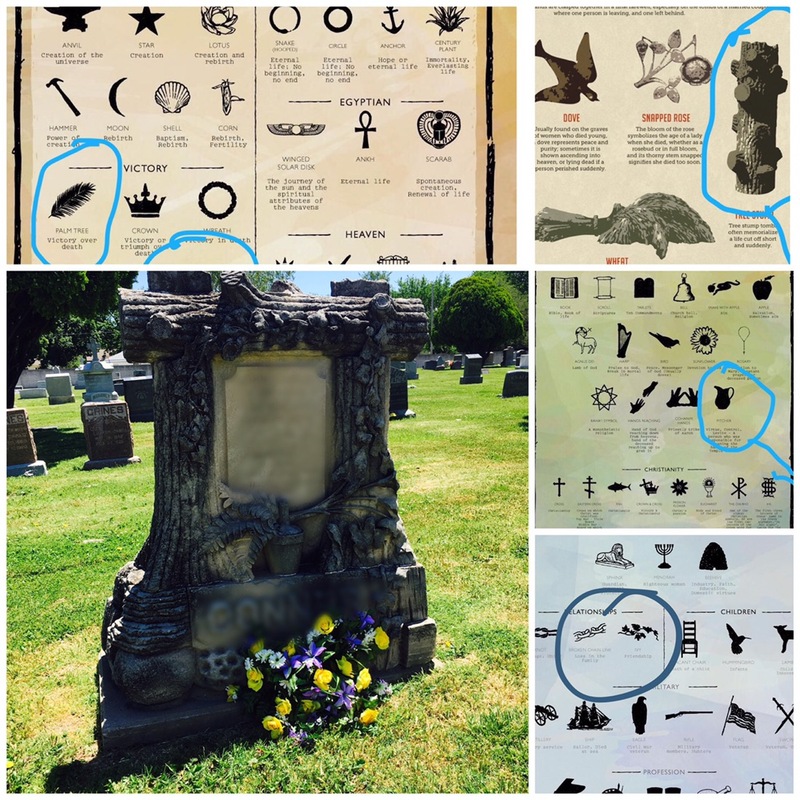 I found these cemetery symbolism charts on Pinterest and thought I would see if I could find a few of them when decorating my family graves on Memorial Day. 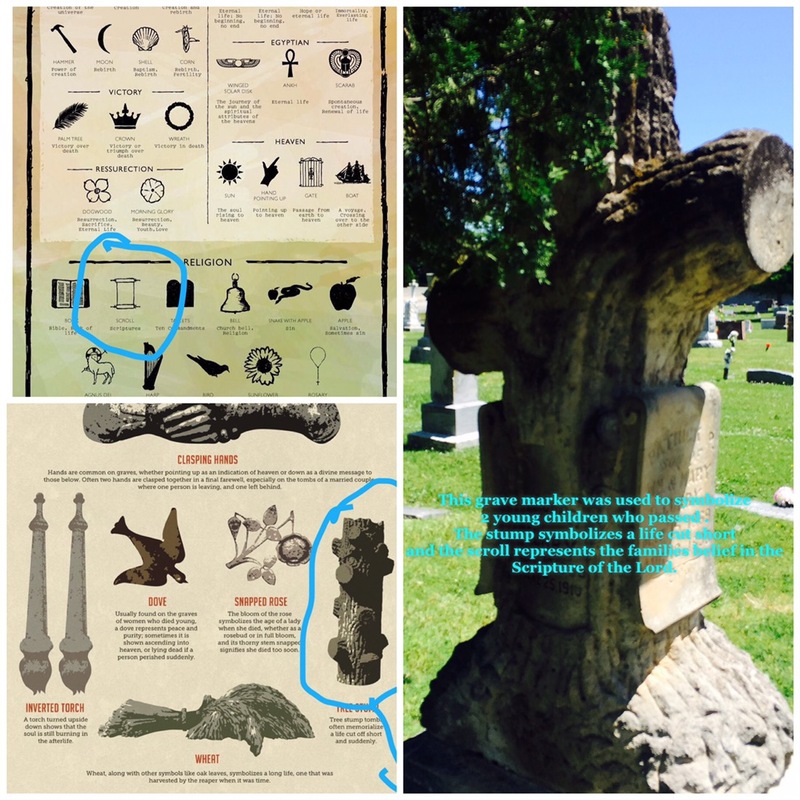 The symbolism explains why certain markers have, what others might think odd, a reason for a different look than the flat grave markers common today. 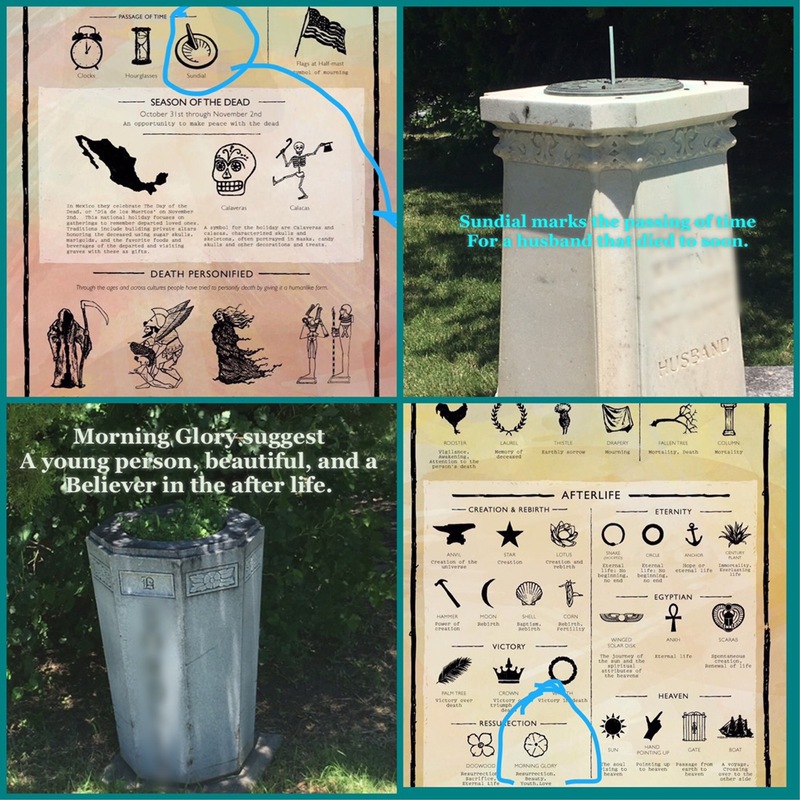 I began to see these markers as a personal history lesson about the lives of the people laid to rest beneath.